This could be the Hoh Rainforest in Washington State, but it isn’t. Having traveled diagonally across the country to visit there in years past, who knew that we had old growth forest right here in Broward County, Florida? 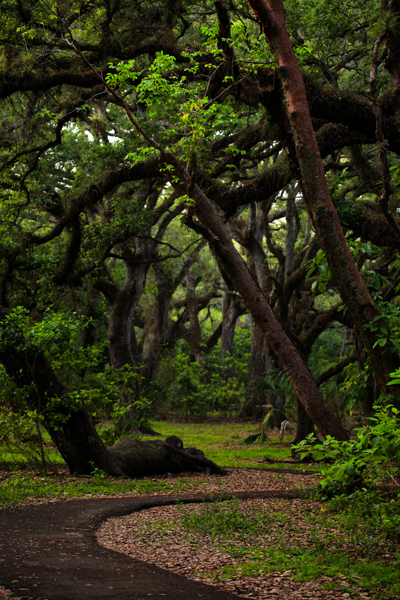 Specifically, Tree Tops Park in Davie http://bit.ly/HG9d6T. Remaining close to home for a while, local parks have been my source for creative inspiration. So, when I happened on this spot, just miles from my home, I was amazed to see sections that contained lush, beautiful canopies. Albeit small patches, walking through them clearly gives you the feeling of the real thing… and you don’t have to leave a trail of bread crumbs to find your way out.